At Millennium Medical here in Chevy Chase, we are committed to providing patients with the best possible hair restoration results. Dr. Hadi Rassael works closely with everyone who stops by the practice to make sure their needs are addressed in full. One option that's especially popular is follicular unit transplantation (FUT), which is ideal for treating different kinds of hair loss. We'd like to use this blog post to focus on the ideal candidates for FUT since there are certain things to consider when it comes to candidacy for this particular treatment for hair loss. Follicular unit transplantation (FUT) is a form of hair restoration that uses small follicle grafts taken from a donor site on the patient's scalp. These grafts are carefully transplanted and staggered into the bald area of the scalp in order to create living, growing hair in those areas. FUT offers far better results than plugs of the past since the grafts are small and only contain one to four hairs, meaning much more natural results. Ideal candidates for follicular unit transplantation (FUT) are people who are in generally good health and do not suffer from any sorts of health problems that would make hair transplantation a risky proposition. Different kinds of hair loss can be addressed through FUT, including male pattern baldness, hair loss due to burns and trauma, and hair loss due to facial plastic surgery procedures. Is there an age requirement for follicular unit transplantation (FUT)? There usually is, especially when the patient suffers from male pattern baldness. Male pattern balding will persist through a man's twenties, thirties, and even through part of a man's forties. 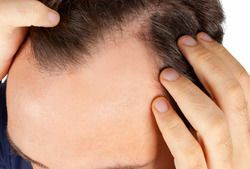 Because of this, it is important to wait until the full extent of a man's hair loss has run its course before performing follicular unit transplantation (FUT). Performing FUT too early could mean unsatisfactory results since additional hair loss is bound to take place. With all this in mind, FUT should be performed on men in their mid-to-late thirties, though it really depends on the nature and extent of his hair loss. Can women undergo follicular unit transplantation (FUT)? While women will not experience hair loss in the same rate or manner as men, they can undergo follicular unit transplantation (FUT) in cases of hair loss that are the result of trauma, burns, or facial surgery. Follicular unit transplantation (FUT) is a process, and as such, it's important that patients have realistic expectations about the surgery, how it's performed, and what the healing process is like. Having realistic expectations means a greater chance of patient satisfaction and success. Follicular unit transplantation (FUT) will be carefully tailored to your needs and the extent of your hair loss. That is why it's important to stop by for a consultation to learn more about these matters in full detail. If you are not an ideal candidate for FUT, we will be more than happy to go over alternatives that may be better suited to your needs. For more information about FUT and if you are an ideal candidate for hair restoration, it's important that you contact our hair restoration center today. During your visit to Millennium Medical, Dr. Rassael will help you make the best choices for your hair restoration needs.